Go Steady Combo Cane® makes every step safer. 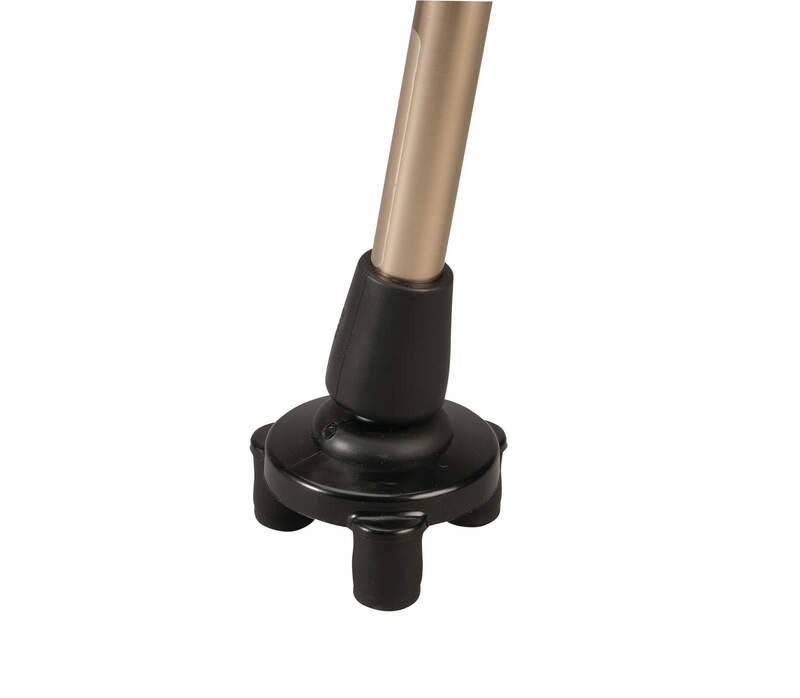 Patented tripod cane tip flexes for stability at any angle, on wet or dry surfaces, to help prevent falls. 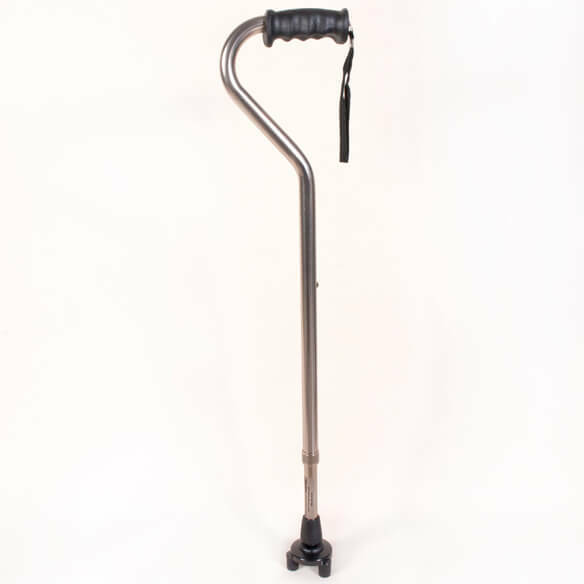 The cushioned ergonomic cane grip is grooved and offset for secure, comfortable control, and its thermoplastic handle with wrist strap and non-skid tip contain no rubber or latex, for odor-free durability. 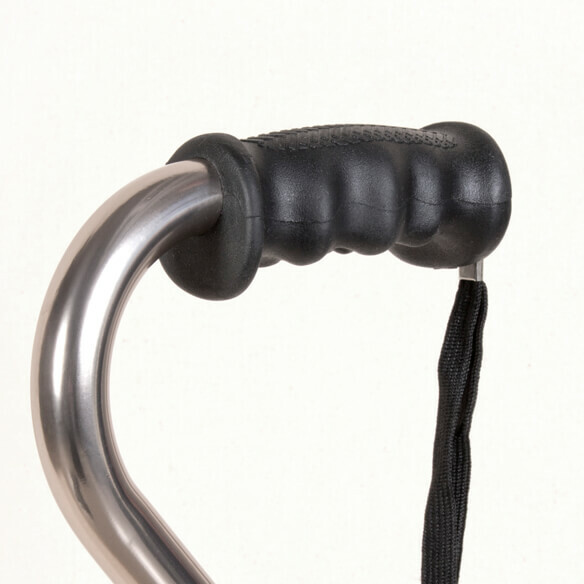 Self-righting, flexible walking cane tip. Lightweight aluminum shaft adjusts from 31 1/2”–40 1/2”L. Base measures 2 3/4”dia. ; shaft is 3/4”dia. Made in USA. Limited lifetime warranty. I chose this walking cane because the height goes up to 40 and 1/2 inches, and my husband is 6ft 5in, and needs the taller cane. Unable to find taller canes in the stores in our area. My wife suffers from severe back pain and I'm hoping the items ordered will help her with her pain. Best cane I could find.